I’m cowed by the possibilities. 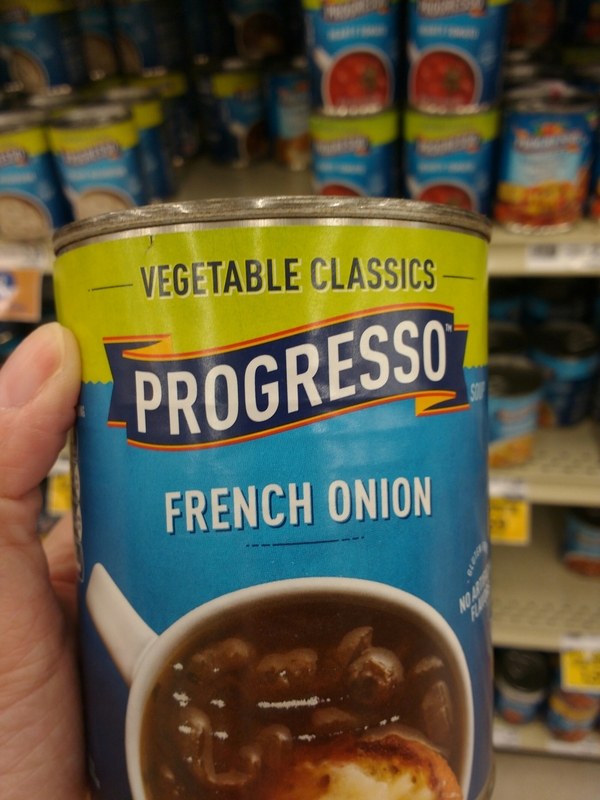 Progresso wouldn’t steer ya wrong! I feel on the horns of a dilemma. 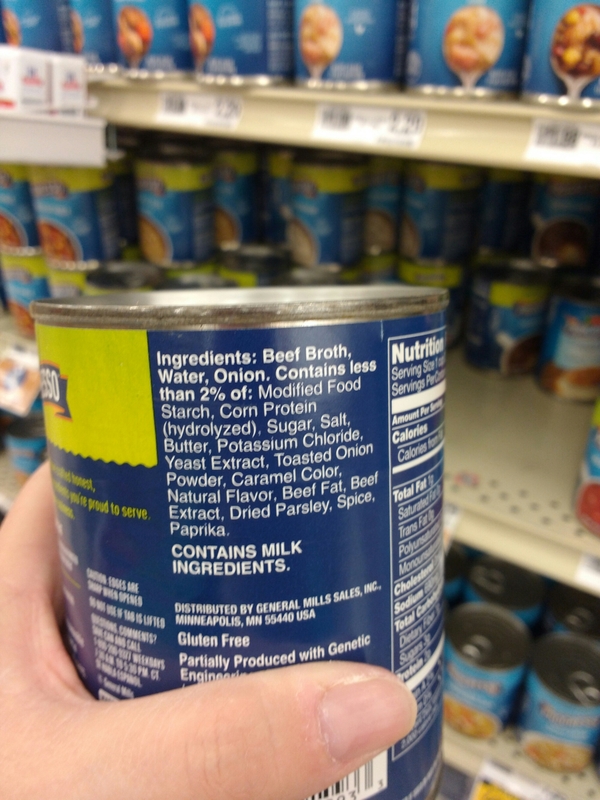 I will see if I can get you my sister-in-law’s vegetarian French onion soup recipe! It involves turnips and I could have sworn it was the non-vegetarian version while eating it. So yummy. However, instead of beef stock she uses vegetable stock. The stock is supposed to be brought to boiling to start with, so when she starts heating up the stock she also throws in a peeled turnip, which I swear is like magic in the soup. Noms!